A midget walks into a house of ill repute. He asks politely for a prostitute. The girls chuckle, and one of the ladies asks to see his member. He gives her a glimpse, and it has a tattoo on it, she can see the word "Shorty" on it. She politely declines, so by default a new girl is assigned the task. A while later she comes out of the room with him, looking totally spent. One of the old hands asks how it went. She replies "I didn't charge him a cent. When his member reaches full tumorance the tattoo reads "Shorty's Bar and Grill, Tallahassee, Florida". 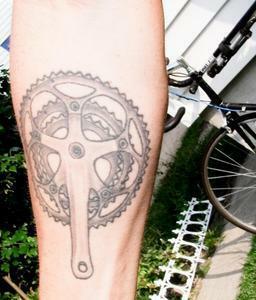 one crank arm as well? Oooh, man, that is bad. How much you want to bet he wears arm warmers with a tank top? You're right, and as soon as I saw it I questioned her promiscuity and her lack of discretion. Not me. I found it refreshingly unambiguous. I have to think that people who get neck/face tattoos probably aren't gunning for positions in upper management. Why did you get a tattoo on your upper back right shoulder? Well, he did say he's a noob, so who knows what he was trying to do. Anyway, Asian character tattoos are usually a bad idea. My wife is Chinese, and she tells me they're wrong much more often than they are right (she estimates about 2/3rds). Usually, there are strokes that are incorrect or missing - the equivalent of being misspelled. Sometimes they're upside down. Occasionally, they're straight-up gibberish. Chinese characters are made up of specific components called "radicals", and sometimes characters are broken up in inappropriate ways that change the meaning. For example, one time my wife pointed out someone's tattoo that she thinks they were probably trying to say something like spiritual power, but the way the artist split the radicals meant that it actually read "unripe rice". Speed solves all problems, except for those things it makes worse. It's on my left calf. That way he's waiving at everyone who passes me... which is pretty much everyone riding in the same direction I am. I know I'm being mocked... I'm just not sure how? drive side cx dismount like Kevin Pauwels? 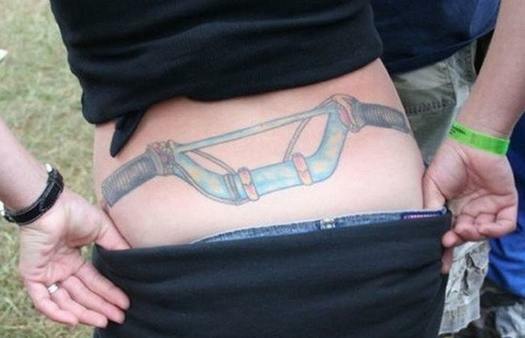 Are you riding your bike backwards? 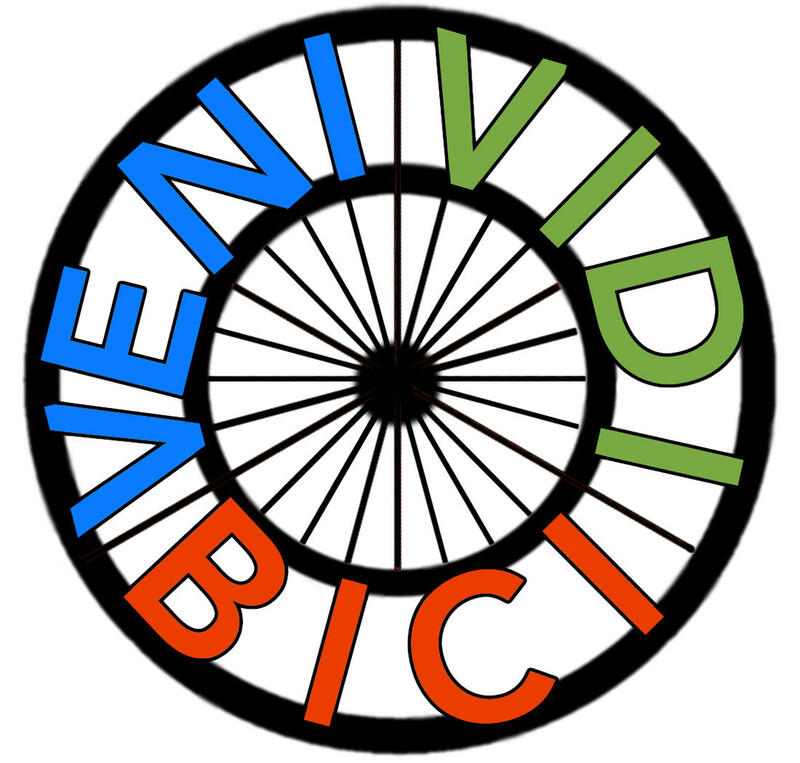 So what would the Latin equivalent of “Veni, Vidi, Vici” be for the cyclist? Veho? Eveho? Any Latin scholars out there? Last edited by Opus51569; 01-28-2019 at 12:56 PM. It's been done on an Anaerobica jersey: Veni, Vidi, Vomiti.